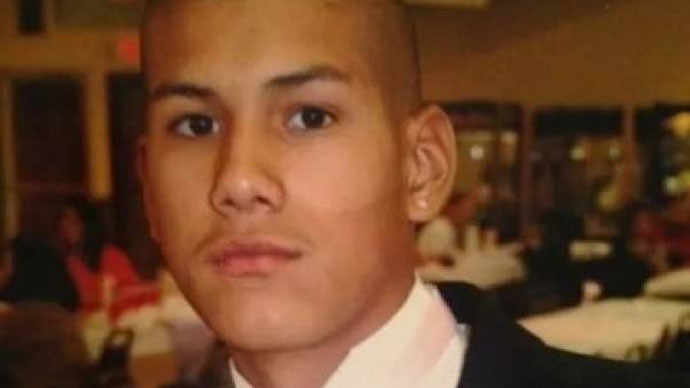 The cousin of a 23-year-old man, gunned down by Wichita police on Saturday, has blamed the officers for John Paul Quintero's death, saying they "got out of the vehicle ready to kill," while the victim was allegedly weaponless. “Everybody’s upset, angry, hurt,” Alina Quintero, a family spokeswoman and cousin of John Paul “Paulie” Quintero, who died in hospital hours after the shooting, told the Wichita Eagle online newspaper. “One fact is, police shot an unarmed man,” she stated. “Paulie” grew up in San Antonio, Texas, and moved to Wichita a couple months ago to begin a food-processing job. “He came here to start a better future,” Alina explained. On Saturday night, Quintero's family called 911, saying John Paul had threatened them with a knife while he was under the influence of alcohol. According to police, Quintero was “belligerent” and wouldn't comply with the two officers who arrived at the scene eight minutes later. He was seated in an SUV parked in front of the house with his father. They asked both men to exit the car, and the older Quintero agreed. After finally exiting the vehicle, John Paul allegedly started walking towards the back of the SUV as officers ordered him to show his hands. After he failed to comply, a male officer deployed a Taser, which had no effect on Quintero. The man allegedly reached for his waistband as he kept moving towards a male officer. Kansas police say the other female officer then fired two fatal shots into Quintero’s midsection. Police confirmed on Sunday they had not found any weapon on John Paul Quintero. Alina Quintero told the local newspaper that while her cousin lay critically injured, the officers handcuffed him. “Like they didn’t care if he was bleeding to death, that he was nothing,” she said. A former state school board member from Wichita and vice chairman of the city’s Racial Profiling Advisory Board, Walt Chappell, told the Wichita Eagle he had a feeling the officers “made a conscious decision to escalate rather than de-escalate.” The mere fact that the female officer walked up with a rifle “would indicate to me they were already loaded for bear,” Chappell said. “You don’t go in ready to shoot first and ask questions later. There’s a lot of things you can do before you ever pull out a weapon,” he added. According to Interim Police Chief Nelson Mosley, detectives later determined that Quintero had threatened to kill people at the home, at one point holding a knife to a woman’s throat, before going outside and sitting in an SUV. By ordering Quintero out of the SUV police only made Quintero “further agitated,” Chappell noted. “Our thoughts are with the family over this incident,” police spokesman Lt. James Espinoza said, “but at this time we are not going to comment in regards to this investigation,” he added. Meanwhile, Quintero’s family is seeking donations for expenses related to John Paul’s death, in an effort to possibly take his remains back to his native San Antonio.